Mozilla today released its annual financial report for 2012, and while revenue is up quite substantially, the organization’s reliance on Google continues to grow. 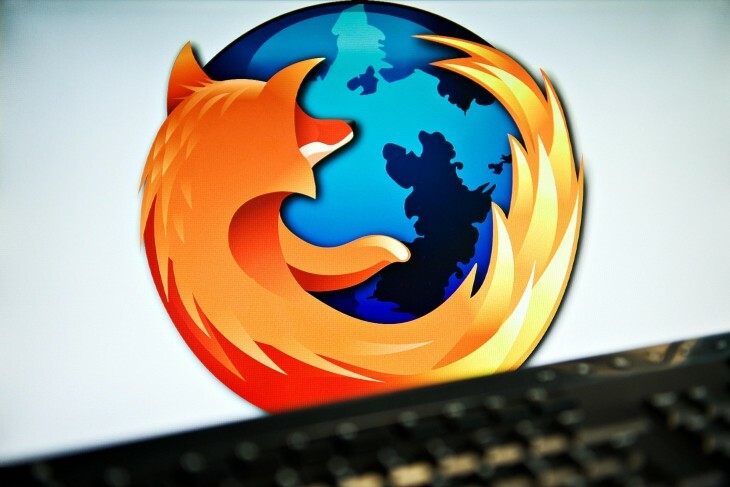 In 2011, 85 percent of Mozilla’s revenue came from Google. In 2012, the figure increased to 90 percent. Mozilla’s previous contract with Google expired in November 2011, but was renewed until November 2014. Every time the contract is up for renewal, supporters of the organization worry Google will turn its back on Mozilla, which would in turn fail to make ends meet. 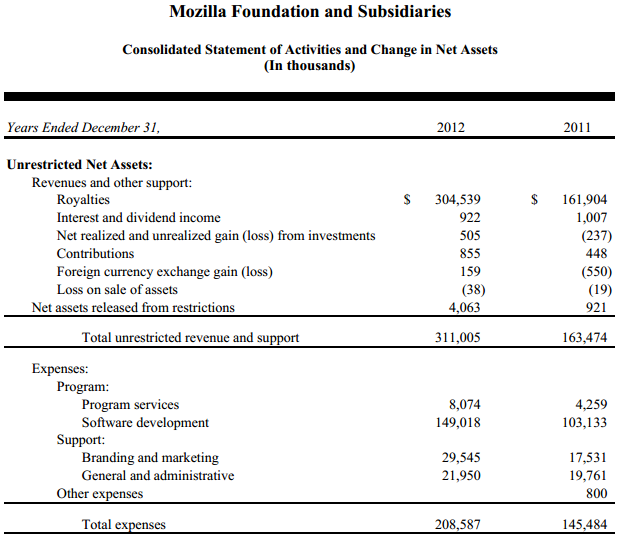 As you can see above, the total revenue for the Mozilla Foundation and its subsidiaries in 2011 was $163 million. If you include all six digits provided, that’s up 90.2 percent to $311 million for 2012. Using some simple math, we can see that Mozilla’s contract with Google brought in almost $139 million in 2011. Last year, that number was almost $280 million, or more than double in 2012. While Mozilla has signed contracts with other search engines, including Microsoft’s Bing, Firefox users clearly still use Google more than the competition. The good news for Mozilla is that its expenses haven’t grown as quickly as its revenue. In 2011, they were at $145 million, and in 2012 they grew 43.4 percent to $208 million. We are a global community with a common purpose: to build the Internet the world needs. We do this by building products, empowering communities, teaching and learning, and shaping environments. We do our best when these things are woven together into a single strand. No one else has both the vision and the opportunity to make it real. We can make the Internet knowable, interoperable, ours. We can be champions of the Web where people know more, do more, and do better. This is us. This is Mozilla. All of this is true, but only as long as Google’s money keeps pouring in. If something were to happen to that relationship, Mozilla better have a backup plan. Every November, Mozilla releases its financial report for the previous year. You can read the full report yourself here: Independent Auditors’ Report and Consolidated Financial Statements (PDF).